Parachute use did not reduce death or major traumatic injury when jumping from aircraft in the first randomized evaluation of this intervention. However, the trial was only able to enroll participants on small stationary aircraft on the ground, suggesting cautious extrapolation to high altitude jumps. As always, when the BMJ publish a less-serious paper, it’s knock-your-socks-off funny. 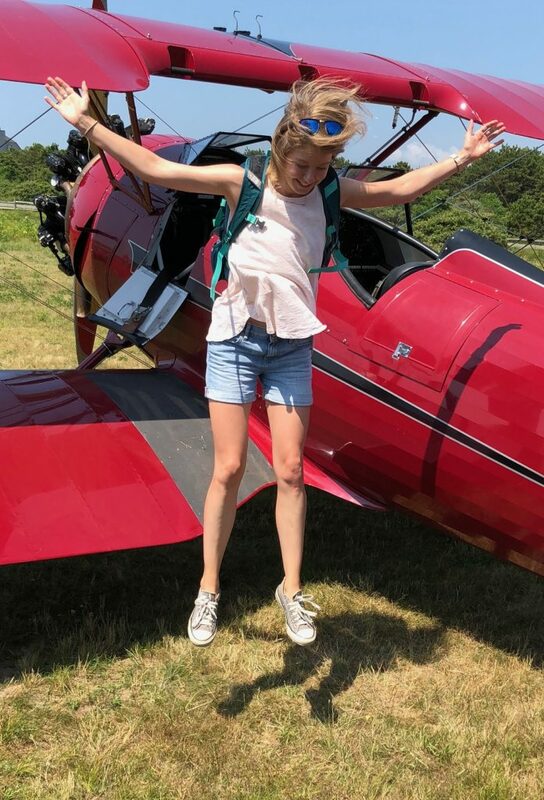 In this one, a randomised trial to determine whether or not parachutes are effective (compared to a placebo in the form of an empty backpack) at preventing death resulting from falling from an aircraft, when used by untrained participants, didn’t get many volunteer participants (funny, that!) until the experiment was adapted to involve only a leap from a stationary, grounded aircraft with an average jump height of 0.6 metres. That no one would ever jump out of an aeroplane without a parachute has often been used to argue that randomising people to either a potentially life saving medical intervention or a control would be inappropriate, and that the efficacy of such an intervention should be discerned from clinical judgment alone. We disagree, for the most part. We believe that randomisation is critical to evaluating the benefits and harms of the vast majority of modern therapies, most of which are unlikely to be nearly as effective at achieving their end goal as parachutes are at preventing injury among people jumping from aircraft. However, RCTs are vulnerable to pre-existing beliefs about standard of care, whether or not these beliefs are justified. Our attempts to recruit in-flight passengers to our ambitious trial were first met with quizzical looks and incredulity, predictably followed by a firm, “No, I would not jump without a parachute.” For the majority of the screened population of the PARACHUTE trial, there was no equipoise—parachutes are the prevailing standard of care. And we concur. But what if we provided assurances that the planes were stationary and on the ground, and that the jump would be just a couple of feet? It was at this point that our study took off. We set out in two groups, one at Katama Airfield on Martha’s Vineyard and the other at the Yankee Air Museum in Ann Arbor. One by one, our study subjects jumped from either a small biplane or a helicopter, randomised to either a backpack equipped with a parachute or a look-a-like control. As promised, both aircraft were parked safely on terra firma. The matchup was, unsurprisingly, a draw, with no injuries in either group. In the first ever RCT of parachutes, the topline conclusion was clear: parachutes did not reduce death or major traumatic injury among people jumping from aircraft. But topline results from RCTs often fail to reveal the full story. We conducted the PARACHUTE trial to illustrate the perils of interpreting trials outside of context. When strong beliefs about the standard of care exist in the community, often only low risk patients are enrolled in a trial, which can unsalvageably bias the results, akin to jumping from an aircraft without a parachute. Assuming that the findings of such a trial are generalisable to the broader population may produce disastrous consequences. Using humour to kickstart serious conversations and to provide an alternative way of looking at important research issues is admirable in itself. 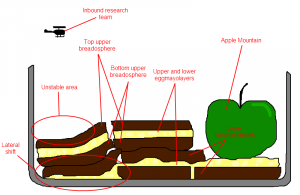 Scientists investigating this week’s catastrophic lunchquake in the Dan’s Lunchbox region have released a statement today about the techtonic causes of the disaster. “The upheaval event, which reached 5.9 on the Tupperware Scale, was probably caused by overenthusiastic cycling,” explained Dr. Pepper, Professor of Lunchtime Beverages at Tetrapak University. 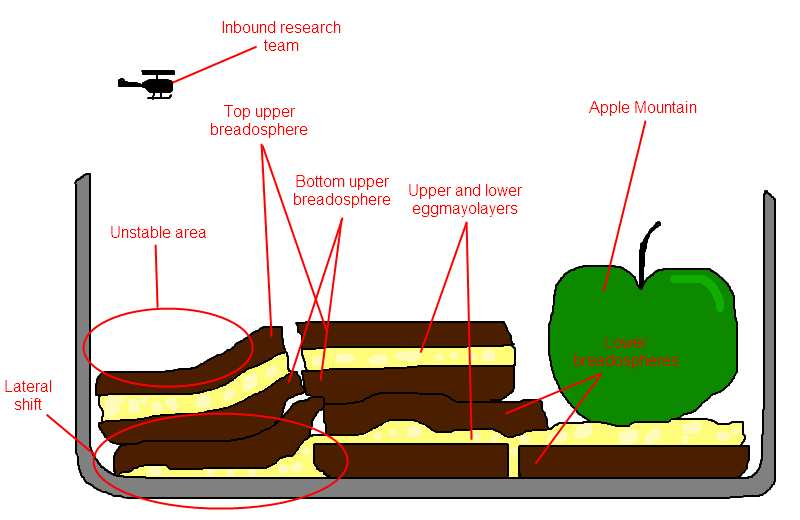 This is what happened earlier this week, when a breadospheric shift resulted in catastrophic sinkage in the left-side-of-lunchbox area, eggmayolayer “vents”, and an increase in the height of Apple Mountain. No lives were lost during the disaster. 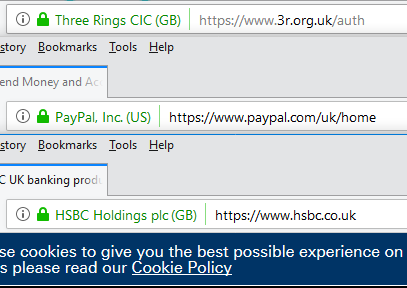 However, two jammie dodgers were completely ruined. Recent emissions in the ring of fire area is unrelated to this recent lunchquake, and are instead believed to be associated with excessive consumption of spicy food at lunchtimes.